Dinko Dermendzhiev (popular with the nickname of Chiko) has joined the football team of Botev Plovdiv in 1959 as its third goal keeper. His only playing as a keeper though,was during the second half of a match of Botev in Varna in that same season. Coach of Botev in that time was Georgi Genov, who saw in Chiko the real talent of a forward player and it took Dinko Dermendzhiev just 8 months until becoming one of the Botev players to spend 19 seasons with team. He has played 447 matches altogether, scoring 194 goals. The Botev team won the 1967 BG Championship Cup, the 1962 Soviet Army Cup, the 1963 silver medal and the 1961 bronze medal from the Premier League chmpionship, as well as the 1972 Balkan Club Cup. Dermendzhiev took part in about 70 official and friendly international matches (scoring 20 goals), in about 150 control matches and 60 matches (scoring 22 goals) for the Soviet Army Cup. He was thrice appointed Football Player of the Year - 1966, 1967 and 1976. He participated in the BG national team in three World Cup championships: Chilli 1962, England 1966 and Mexico 1970 (where he scored the very first goal of the championship, thus receiving a special award). He took part in 58 official matches for the BG Championship League, scoring 19 goals altogether. 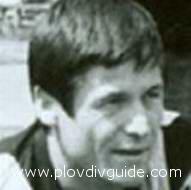 He ended his active sports career in 1978, and became a coach of Botev, Plovdiv. As its senior coach, the Botev team won the 1981 Soviet Army Cup, the Premier League bronze medals in 1981 and 1983, and was playing on the BG Cup finals in 1984 and 1991.